Castro Speech Database - This database includes speeches, interviews, etc., by Fidel Castro from 1959 to 1996. All texts are in English. If you would like more recent speeches or texts in Spanish, consult Discursos e Intervenciones de Fidel Castro, which has texts in a variety of languages starting with 1998. Chomsky.info - Noam Chomsky speeches, interviews, and debates. Commencement Speeches - Archive of commencement addresses. Maintained by Humanity.org. Commencements - C-SPAN video library of over 600 commencement programs and events. Dr. Martin Luther King, Jr. Speeches - The father of the modern civil rights movement in the United States, Martin Luther King was born 15 January 1929 and died on 4 April 1968. Awarded the Nobel Peace Prize in 1964, he died when he was assassinated in Memphis, Tennessee. These are some of Dr. Martin Luther King's most famous speeches. Fidel Castro History Archive (Marxists.org) - The speeches and writings of Fidel Castro 1953 to present. Historical Voices - Housed at Michigan State University, Historical Voices is working with several partners to build collections, including the Chicago Historical Society; Northwestern University; University of Michigan, Flint; Institut Fondamental d'Afrique Noire (IFAN), Dakar, Senegal; West African Research Center (WARC), Dakar, Senegal; University of Capetown, South Africa; University of the Western Cape, South Africa; and University of Durban, Westville, South Africa. 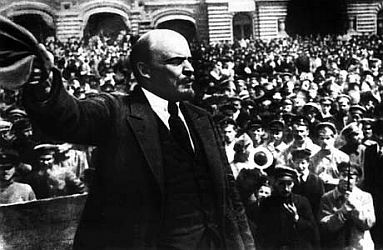 History Channel: Famous Speeches in History - A relatively large collection of historically relevant RealAudio recordings. Includes politicians, world leaders, sports figures, and cultural notables. People Speak, American Voices, Some Famous, Some Little Known [CD] - Dramatic readings by various artists of the voices of historical figures. Compiled by Howard Zinn. Here in their own words, and interwoven with commentary by Zinn, are Columbus on the Arawaks; Plough Jogger, a farmer and participant in Shays' Rebellion; Harriet Hanson, a Lowell mill worker; Frederick Douglass; Mark Twain; Mother Jones; Emma Goldman; Helen Keller; Eugene V. Debs; Langston Hughes; Genova Johnson Dollinger on a sit-down strike at General Motors in Flint, Michigan; an interrogation from a 1953 HUAC hearing; Fannie Lou Hamer, a sharecropper and member of the Freedom Democratic Party; Malcolm X; and James Lawrence Harrington, a Gulf War resister, among others. Say It Plain - A century of great African American speeches. Speeches of Martin Luther King, Jr. - Transcripts and/or audio of major speeches. Technology and Culture Forum at MIT - Forums, speeches and debates.